Members of Parliament sitting on the Committee Commissions, Statutory Authorities and State Enterprises have demanded liquidation and non-performing assets status reports of the defunct banks. The five defunct banks include Cooperative bank, Green land bank, International credit bank, Global trust bank and National bank of commerce. 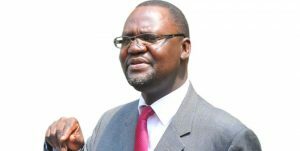 The committee chaired by Abdul Katuntu noted that although some reports of these defunct banks were given to the committee, those for Global trust bank and the National bank of commerce are missing among the submitted reports for the respective banks. MPs also want Bank of Uganda to provide an imprest report at the closure of these Banks by Governor Bank of Uganda, Emmanuel Tumusiime Mutebile.